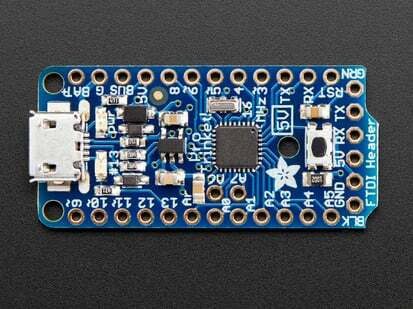 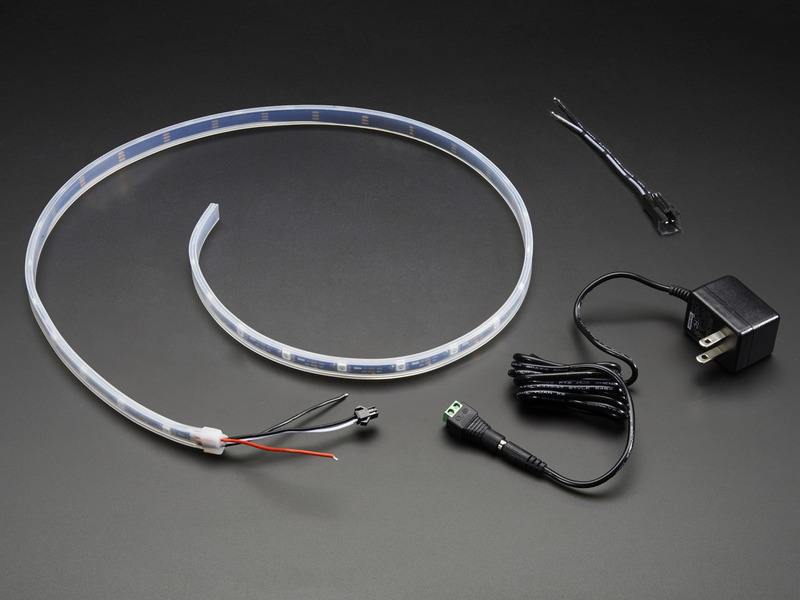 This version has a one meter NeoPixel strip with a black flex PCB. 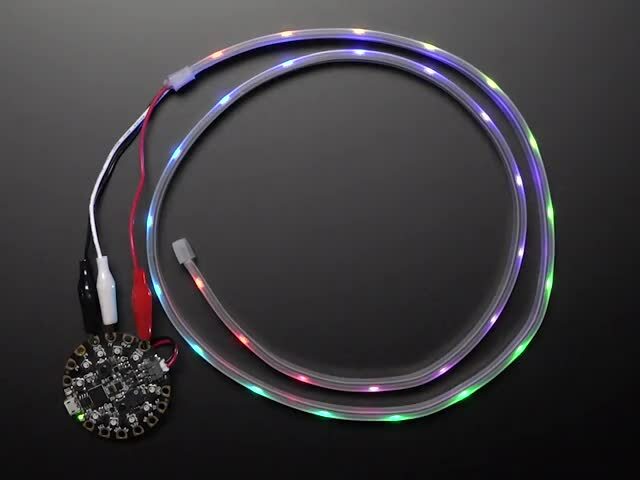 We also have a version of the starter pack with a white flex PCB here! 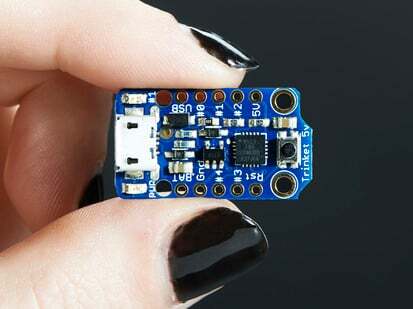 Note: The 5V Trinket shown in photos is not included! 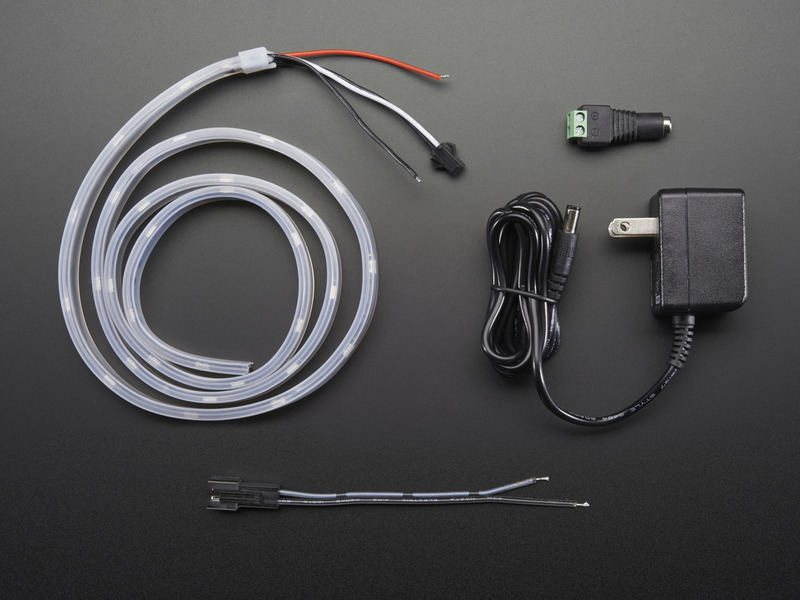 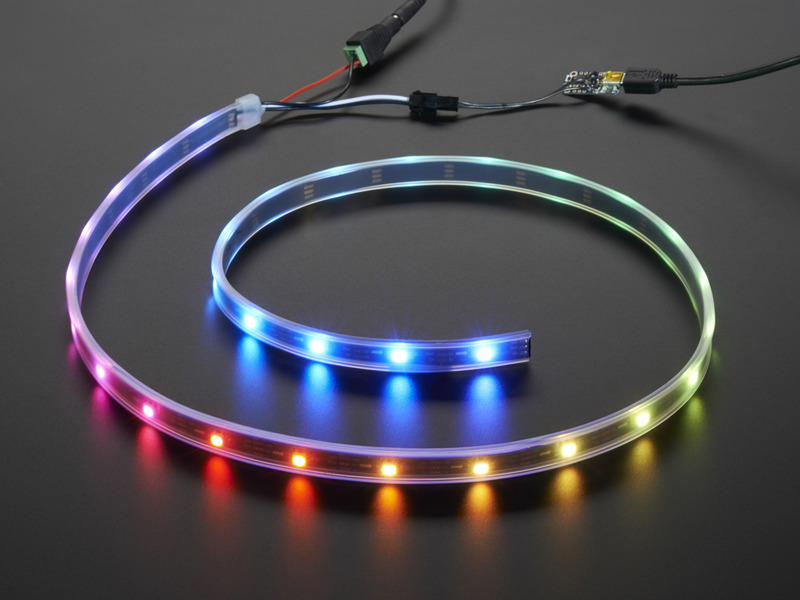 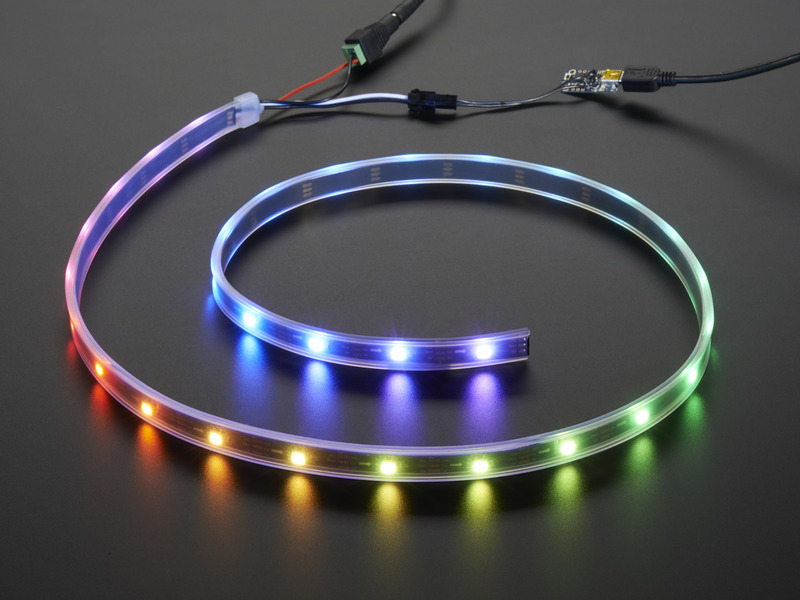 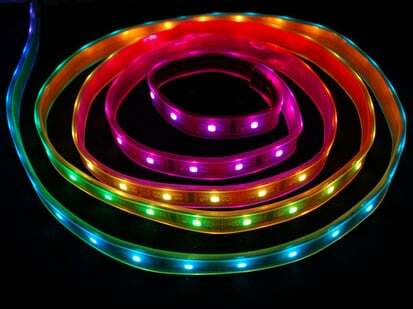 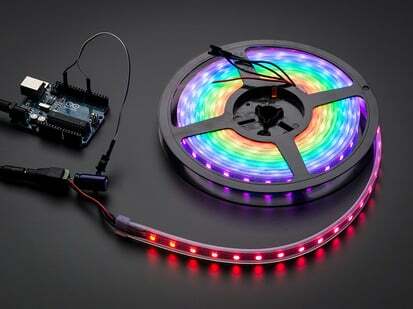 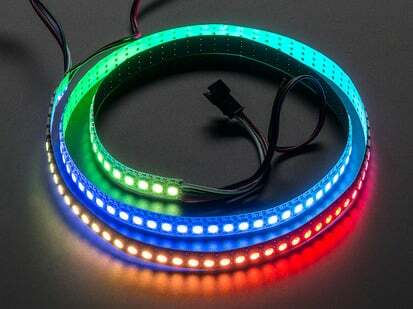 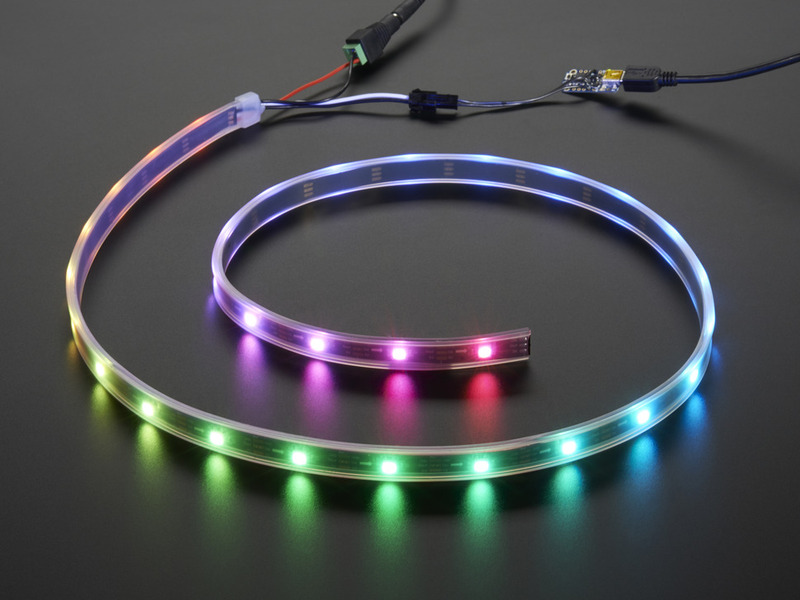 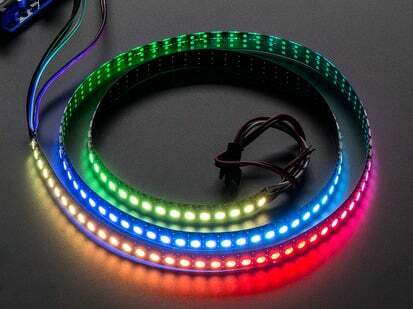 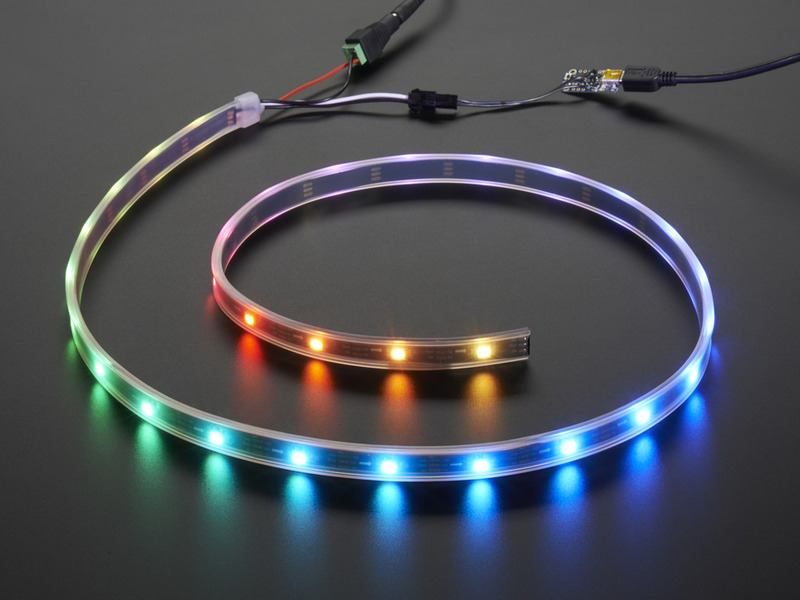 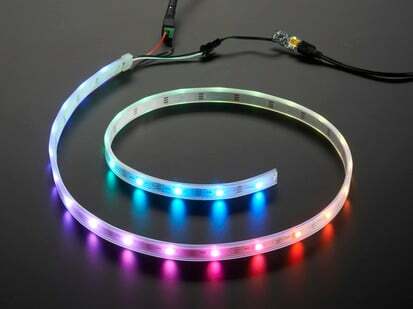 You will need this or another type of microcontroller to control the LED strip. 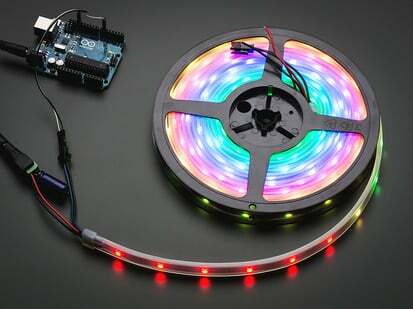 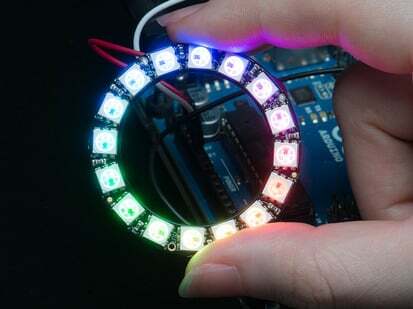 We recommend Arduino UNO, Adafruit Metro, Trinket 5V or Pro Trinket 5V but many other microcontrollers may work if they have a NeoPixel or WS2812 library available. 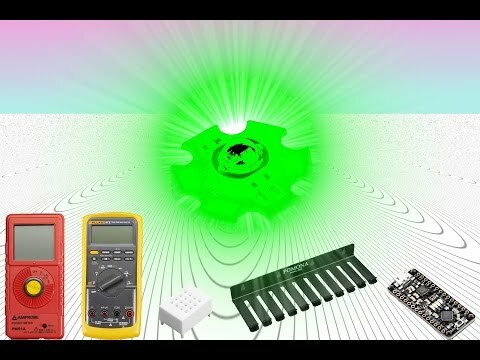 5V logic and power is required.